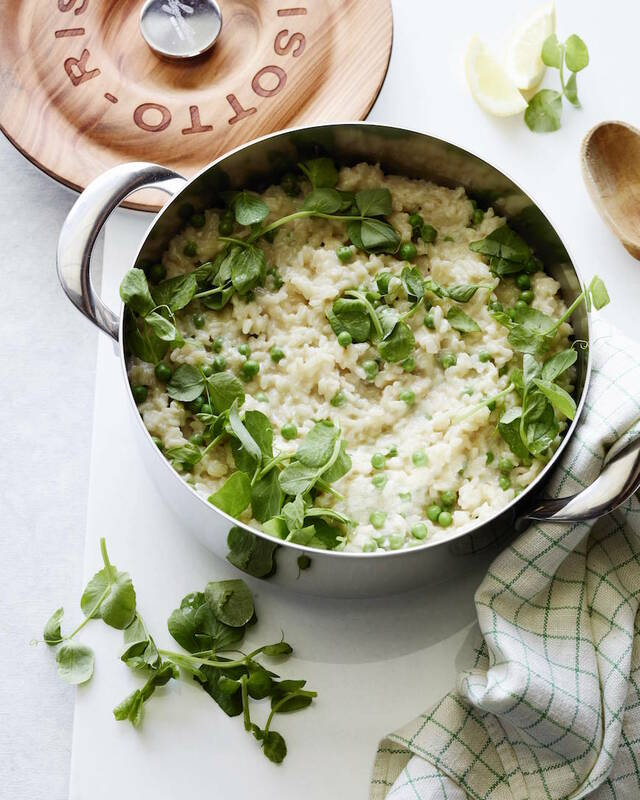 Sunday – It’s all about this Spring Pea Risotto tonight and a Cedar Plank Salmon to boot! 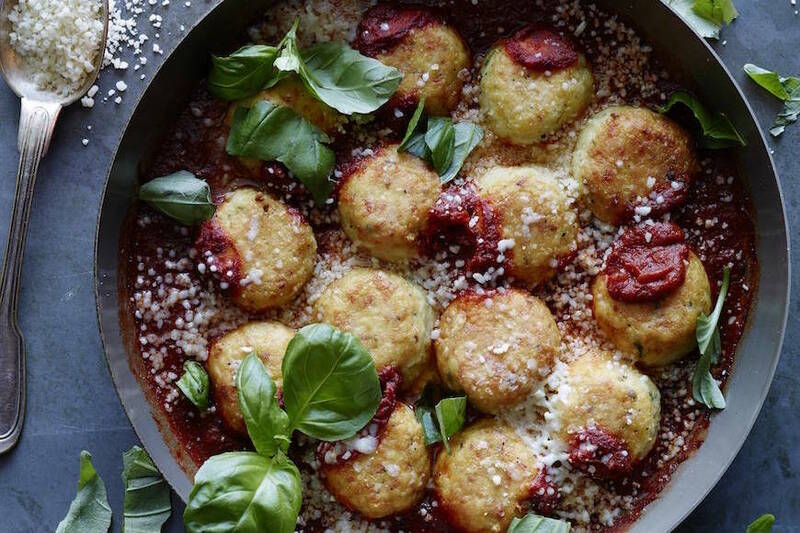 Sunday night dinner is getting a major upgrade with these! 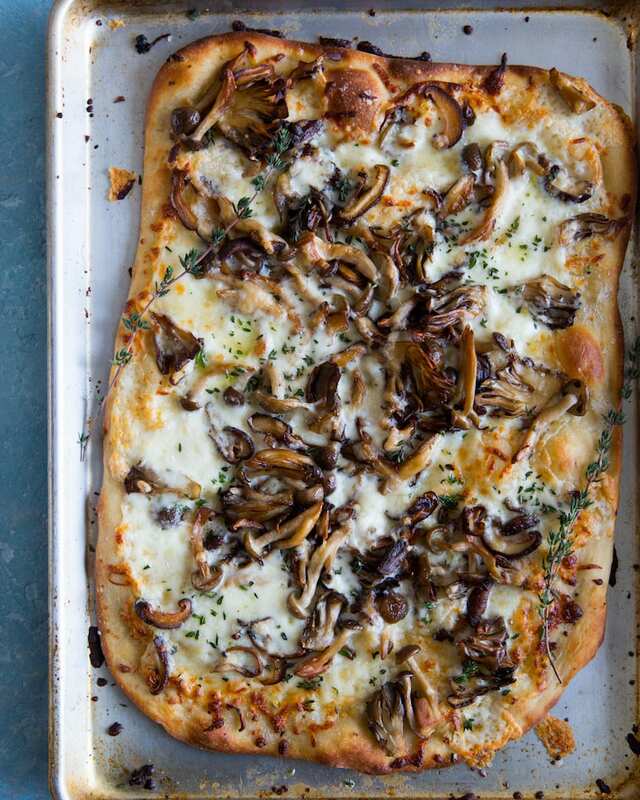 Monday – Caramelized Wild Mushroom Pizza – duh. With my go-to green monster salad on the side. Tuesday – Southwestern Lasagna is making an appearance for taco tuesday. 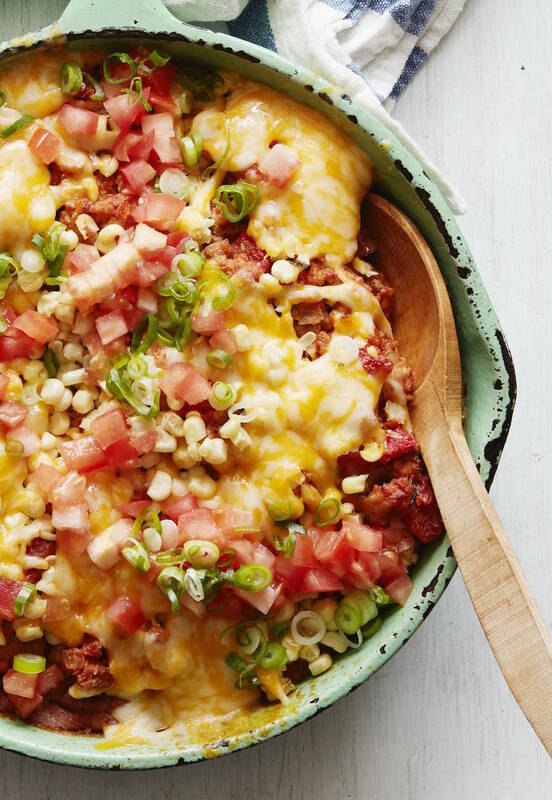 It’s basically a giant taco in lasagna form, so who can complain about that? 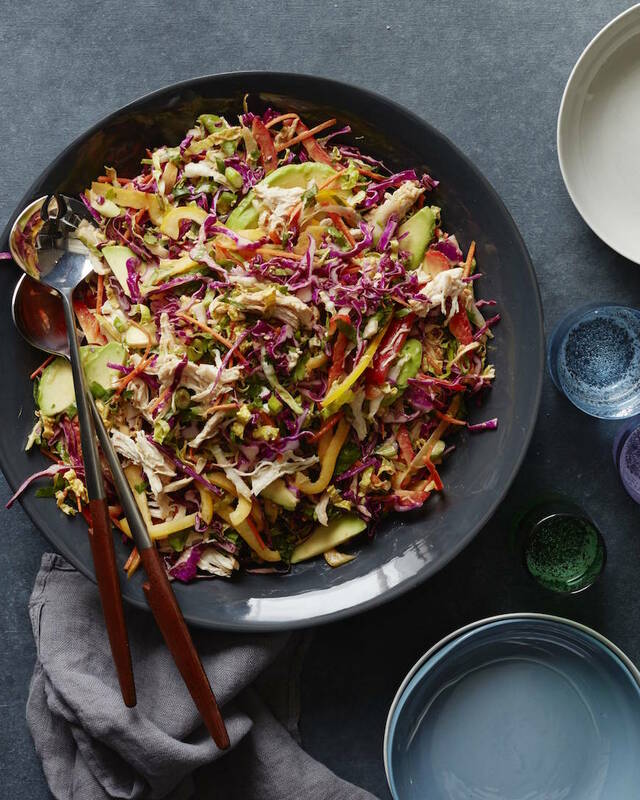 Wednesday – Hump day is all about this Asian Chicken Slaw that I plan on doubling so I can have it for lunches for the rest of this week. Thursday – YES!! 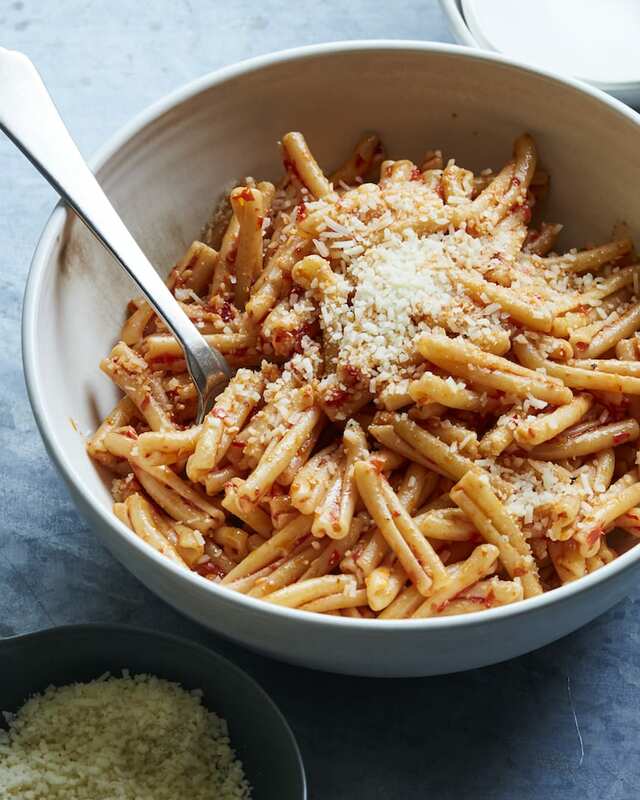 This Calabrian Chili Pasta is one of my favorites – and I know you’re going to love it! 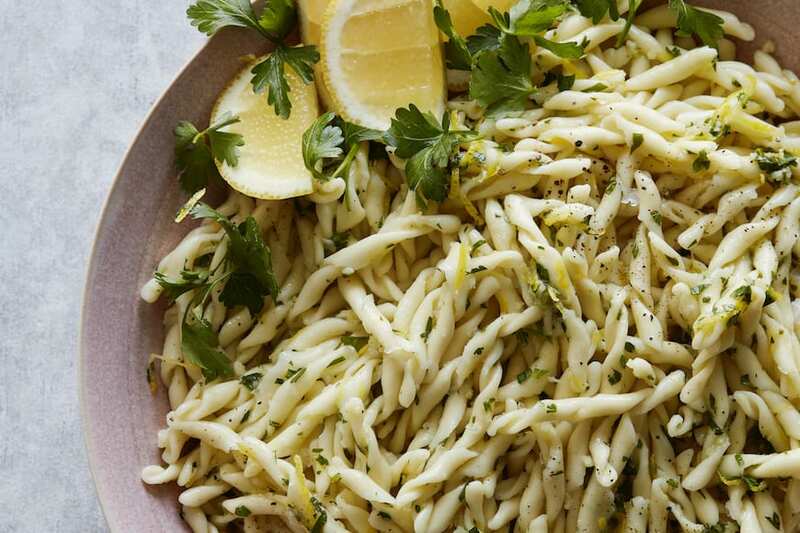 Throw another batch of the green monster salad on the side because it’s the right thing to do! 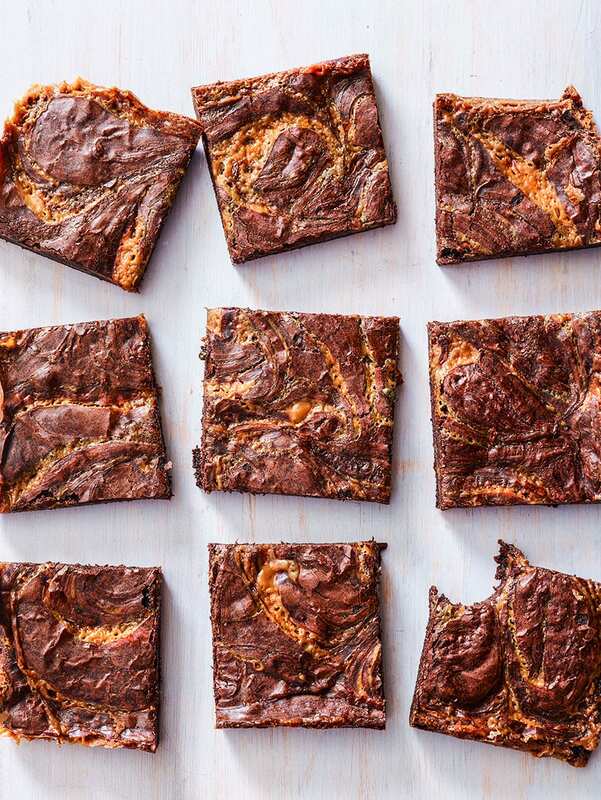 For sweet treats this week I’m making CARAMEL BROWNIES! And breakfast is going to be smoothies all week!! 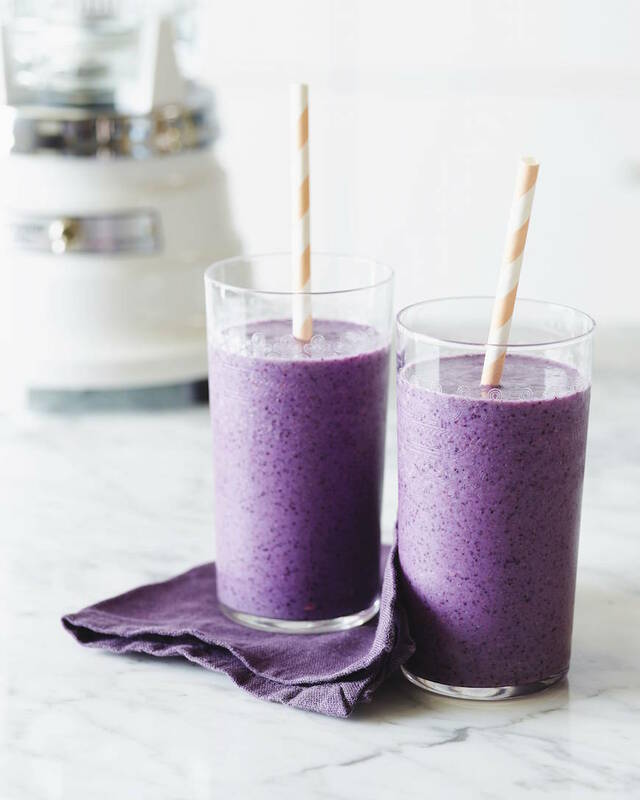 Banana Blueberry Smoothies to be exact! This meal plan looks fantastic! 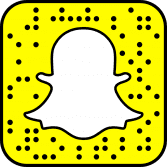 Do you have a way to print the recipes, directions and maybe even a shopping list? I love everything in this post!! Delicious. That Spring Pea Risotto looks heavenly! I love this meal plan. I especially love how colorful it is…and that you included a dessert! 🙂 This all looks delicious! Oh this salmon recipe is an oldie ! 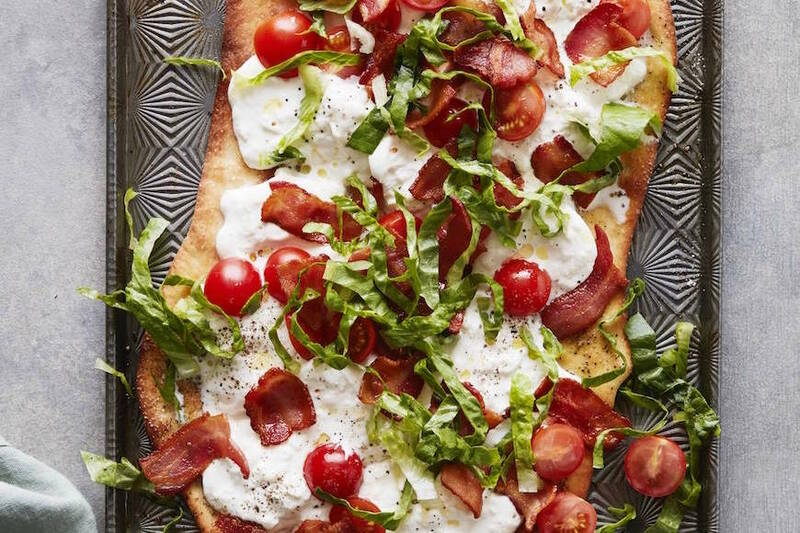 Inspiration for dinner tonight.